Sensei Randolph has been teaching Aikido since 2002. She was assistant instructor and taught an Aikido class at the Massachusetts Institute of Technology for three years prior to starting this dojo in August of 2006. Sensei Randolph began studying Kokikai Aikido under Takashi Isobe Sensei, 5th dan and for 10 years under David Comi Sensei, 5th dan the Massachusetts Institute of Technology. Sensei Randolph was invited to visit Japan by Kokikai founder Shuji Maruyama to take part in a special presentation for Japanese media in 2004. 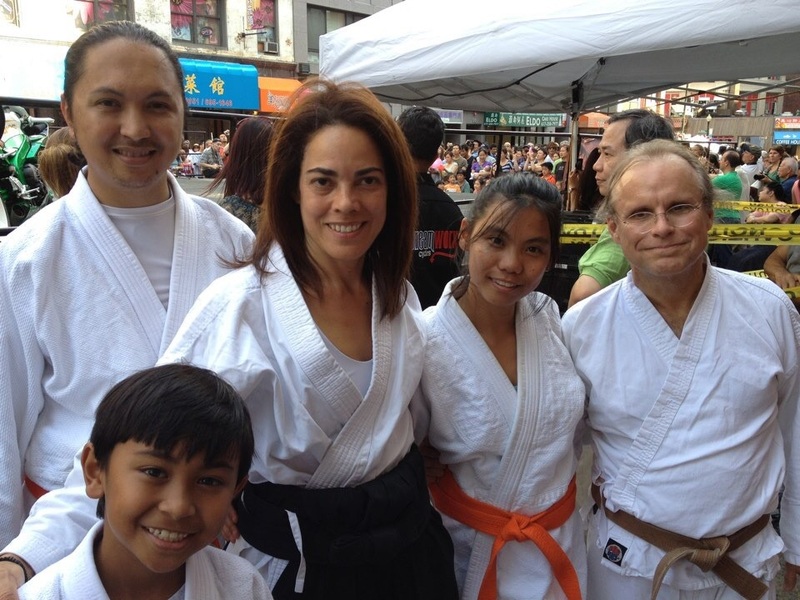 Recently she was invited to join other top martial artists in Boston as the only Aikido instructor at the Boston Academy of Martial arts, a one day martial arts certification program. 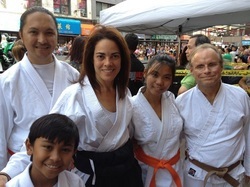 The dojo was also invited in August of 2010,2012 and 2013 to participate in the August Moon Festival in Chinatown, and the Lantern Festival in Chinatown in 2014. Sensei Randolph personally teaches class four days a week snd has been studying Aikido for the last 20 years, and teaching it for the last eleven years. Sensei Randolph attemds from four to seven seminars with Shuji Maruyama per year. Sensei Randolph lives in Bay Village in Boston Massachusetts. Click these links for more information about training at our Dojo. Welcome! Contact Us for Info or to Join! - We'll get right back to you. View photos from past years - Shuji Maruyama, your senseis.